The Wall Street Journal has a follow-up today that talks about how police track our locations with our cell phones. Now, answering one of my own questions, thanks to some discussion with my wife, what is the difference between using a GPS tracker and a cell phone? First, of course you can always turn off your cell phone. Because you know you are being tracked, you have a means to defend your privacy. Is it a reasonable means? I would argue “no”. In addition, the feds do not own the data. Instead they have to go to the phone companies to get it. And they do that quite a bit more than using GPS trackers, according to the article. And why not? You pay for the cell phone and your carrier retains the data. It’s darn cheap for the police to make use of all of that rather than have to pay for the tracker and manage it. There’s another big difference that I alluded to. Police in America do get a court order for cell phone location information. This is why I believe the Obama administration should fail. It is not an onerous task, judging by numbers, to get such an order, and since it isn’t, the onus falls on the administration to show why they shouldn’t make use of the exact same mechanism when the technology changes. Some people say that Internet Security is an oxymoron, because we hear so much about the different ways in which hackers and criminals break into our data, steal our identities, and even use information to commit “real world” crimes like burglary, when it becomes clear that someone’s gone on vacation. Well now the Obama Administration along with the FBI and NSA are proposing to make things worse, according to an article in today’s New York Times. According to the Times, the government is going to propose requiring that developers give up on one of the key principals of securing information– use of end to end encryption, the argument being that law enforcement does not have the visibility to information they once had, say, in the Nixon era, where the NSA acted as a vacuum cleaner and had access to anything. As our friend Professor Steve Bellovin points out, weakening security of the Internet for law enforcement also weakens it for benefit of criminals. Not a month ago, for instance, David Barksdale was fired from Google for violating the privacy of teenagers. He could do that because communications between them were not encrypted end-to-end. (Yes, Google did the right thing by firing the slime). This isn’t the first time that the government has wanted the keys to all the castles, since the invention of public key cryptography. Some of us remember the Clipper chip and a government-mandated key escrow system that the Clinton Administration wanted to mandate in the name of law enforcement. A wise friend of mine said, and this applies equally now, “No matter how many people stand between me and the escrow, there exists a value of money for me to buy them off.” The same would be true here, only it would be worse, because in this case, the government seems not to be proposing a uniform technical mechanism. What’s worse– this mandate will impact only law abiding citizens and not criminals, as the criminals will encrypt data anyway on top of whatever service they use. What you can do: call your congressman now, and find out where she or he stands. If they’re in favor of such intrusive policy, vote them out. 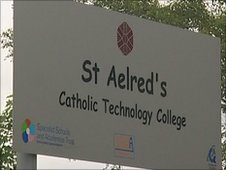 As opposed to my previous post, BBC reports an instance where the FBI has made use of public information to predict a possible threat to St Aelred’s Catholic Technology College in England. The information was on Facebook, and was available probably because the defendant hadn’t protected his postings, perhaps due to FB’s confusing approach to privacy. Imagine, however, that FB didn’t confuse anyone, and this information were protected. Would the FBI have been prevented from warning St. Aelreds? If if they couldn’t, would Facebook? And if Facebook didn’t would the FBI insist on new powers? Watch this space. Imagine taking a vacation to some exotic place, perhaps even going to school abroad for a few months, and then being told that you can’t go home. The New York Times reports that such is the tragic situation of Yahya Wehelie, a young American who went to Yemen to study, at the insistence of his parents. He found himself on the No Fly List, for reasons we don’t know, and given no reasonable way to get home to Virginia. 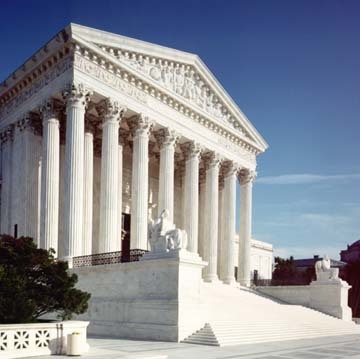 An individual’s right to freedom from unreasonable search and seizure. Americans have the fewest rights when flying back to the United States. You can expect to be searched, probed, and prodded. You don’t have the right to carry a bottle of water into an airport, and you can expect substantial inconvenience, especially if you are disabled, when traveling. You can expect your laptop to be confiscated. The situation is changing, however. A recent decision by a federal judge limits rummaging through laptops of American citizens. Another decision is clearly needed: Americans deserve the right to face their accusers, to hear allegations, and to be able to respond to those charges so that they can receive justice. The basic premise of an airport search is to address threats that are not amenable to taking the time to have such a hearing. Several weeks should be more than plenty of time for a case to be heard by a competent judge. Having some random person stick your name on a list is what one should expect of Nineteen Eight-Four and Brazil, and of America. What would you do if it were your son trying to get home? Death in Detroit at the hands of the FBI or just due to stupidity? 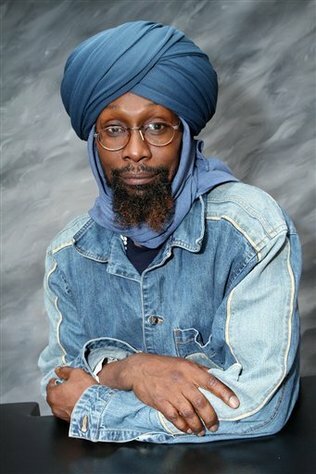 The New York Times has an excellent article about the case of Imam Luqman Ameen Abdullah, who died in a shootout with the FBI in Detroit on Wednesday. Mr. Abdullah was apparently well known by the FBI, had a past criminal record, and wasn’t known for being a shrinking violet. It is possible that he also died of terminal stupidity by firing a weapon in the presence of law enforcement. As the Times and other papers report it, the FBI confronted Mr. Abdullah in a warehouse where he was housing stolen property. Once they confronted him, it’s possible there was no way for them to have avoided shooting him, given that he fired shots. I wonder, however, if they confronted him in the right way. To be sure, this is Monday morning quarterbacking, but in my experience, that is how we learn. Sometimes it is possible to request that people turn themselves in. This avoids any violence, at the risk that the individual will flee. Was that a reasonable risk to take in this case? Once they decided that they needed to arrest him, would it have made sense to do so in another venue? Certainly there is a risk to law enforcement when they arrest someone at home, as that person may be hiding weapons in the house, and certainly knows the layout better than the cops. Would it have been better to nab him on the way out of his house? He may have been on parole. Could his parole officer have requested him to come in? My point: it’s not clear cut to me that the FBI did the wrong or the right thing. We’ll probably never know, but hopefully someone asked and answered these questions before the they confronted Mr. Abdullah in that warehouse. Otherwise maybe it could well be that police/siege mentality contributed to this man’s death. Author Eliot LearPosted on October 31, 2009 Categories Humanity, PoliticsTags Criminology, FBILeave a comment on Death in Detroit at the hands of the FBI or just due to stupidity?